You may be super-organized and well ahead of me–and that’s great! 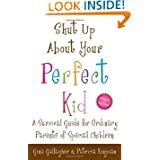 But in case you are scratching your head as to how to honor your child’s SLP this holiday season, look no further! Here’s how my search began about 5 years ago: a crowded suburban mall. Two kids under three. Sticky, pudgy fingers caked in candy cane residue from having just seen Santa. A weary mommy and an impatient daddy. I thought all of our gift purchasing was done. Until I remembered we had a very special person to buy for this year: Miss Jen, my daughter’s then speech-language pathologist (SLP). I bit my lower lip and looked out at the sea of mall kiosks. Flat-irons, scarves and mittens, hand lotion, and ornaments clouded my view. “A what?” The woman lowerd her glasses and looked at me like I had two heads. “You know, a speech therapist? SLP?” I tried again. I sighed, “Well I see you have lots of caregiver-type ornaments here…I just need one for my daughter’s speech therapist. How about one about talking? A big speech bubble or something?” I was desperate. She handed me an ornament with a pink cell phone. Um, no. So I culled the shelves again. Something had to work. I ultimately chose one in which there were two little girls in an embrace. They had red hair. 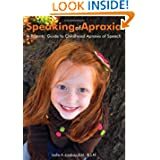 And so it began: the yearly task of finding something unique for my daughter’s unique treatment of childhood apraxia of speech (CAS). In the meantime, I did find some SLP-related ornaments on-line. Offer to donate a toy (new is best) to your child’s speech clinic. You can ask around and find out what toys are particularly good for speech purposes–the front desk staff or your child’s SLP can offer some good ideas. Give your SLP or her clinic a subscription to a magazine or journal. 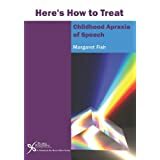 Make it a waiting room gift for all children and families to use like Highlights or People, or make it a little more personal (a bit more pricey) and give The Journal of Speech, Lannguage & Hearing Research http://jshd.asha.org/. Likewise, the American Journal of Occupational Therapy may be a nice addition http://www.aota.org/pubs/AJOT_1.aspx as well. 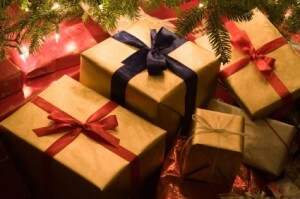 Present her a gift card to a local teacher’s store or educational supply company. Like teachers, many of the activities and things your child does in speech therapy come out-of-pocket. Cater lunch for the staff. This works especially well if your child sees several professionals at one location, like a PT, OT, and ST. Lunch doesn’t have to be fancy–a footlong sub, chips, and drinks can feel like a feast for busy-no-time-for-lunch therapists. Send in morning coffee and bakery items from a local coffee shop or donut store. Many deliver. How about something like personalized stationary? A personalized mug or calendar? A bag/tote to carry all of her treatment plans and hand-outs. A heartfelt card explaining all of the reasons you are thankful for his/her services? 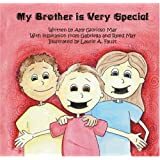 “My Brother is Very Special” by Amy May. 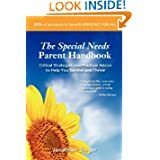 All about kids who feel like they talk funny and need to see an SLP to get better, told from a big-sister’s point-of-view. 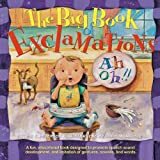 “The Big Book of Exclamations” by Terri Kaminski Peterson, CCC-SLP. This is a book intended to be read with and to your child. It’s more of a therapy tool, than it is a sit-and-read-book. I am honored. Thank you! If the SLP you see has an iPad to use in therapy, iTunes credit can also be a great gift. In some workplaces, funding is made available for the initial purchase, but scarce when it comes to buying new apps. Super suggestion, Lauren!! I forget about how wonderful iPads can be for speech therapy.